I myself have a full time job and finding a balance between a daily blog and work/school can sometimes be hard if anything stressful. So I've put down 3 little tips that I use a lot myself to keep both me and the blog happy. Also remember to take a break sometime now and then. You deserve it! If you have a full time job, study or just for some other reason can't sit day in and day out with your blog then scheduling things, like your posts, is a life saver! If you are on Blogger you can get a link to your scheduled post so you can go right on over to scheduling a linked post on your Twitter, Facebook or any other site. If you get a post idea then write it down in either a notebook or your cellphone. I know many today use their phone and why shouldn't they with all the apps that is available today! I myself prefer to write by hand when it comes to this so I have too many notebooks because I am notebook crazy. If you get a post flowing around in your brain and have the time, sit down and write it down even if it's just a part of it. And when you get back you have some of the work done already, sometimes it's just a photo for the post that's missing. 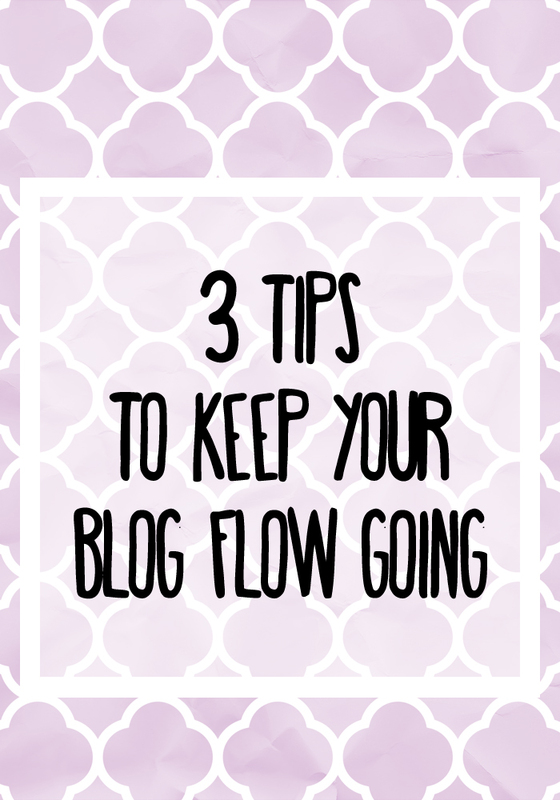 What do you do to keep your blog flow going? Tack! Min blogg brukade vara mer så innan jag nishade till mig...Just nu är det mest fangirly stuff för mina dagar ser i princip likadana ut då jag jobbar så mycket haha.